What is the cheapest way to get from Orangeville to Burlington? The cheapest way to get from Orangeville to Burlington is to drive which costs $9 - $14 and takes 1h 4m. What is the fastest way to get from Orangeville to Burlington? The quickest way to get from Orangeville to Burlington is to drive which costs $9 - $14 and takes 1h 4m. Is there a direct bus between Orangeville and Burlington? No, there is no direct bus from Orangeville to Burlington. However, there are services departing from Town Line @ Mill St. and arriving at Dundas St. @ Hwy. 407 Park & Ride via Nelson - Zum Main Station Stop SB and Square One. The journey, including transfers, takes approximately 2h 25m. How far is it from Orangeville to Burlington? The distance between Orangeville and Burlington is 63 km. The road distance is 85.3 km. How do I travel from Orangeville to Burlington without a car? 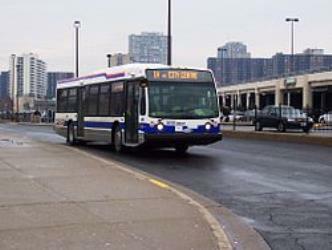 The best way to get from Orangeville to Burlington without a car is to line 37 bus and line 502 bus and line 47 bus which takes 2h 25m and costs $18 - $23. How long does it take to get from Orangeville to Burlington? 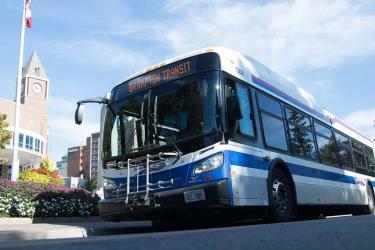 It takes approximately 2h 25m to get from Orangeville to Burlington, including transfers. Where do I catch the Orangeville to Burlington bus from? 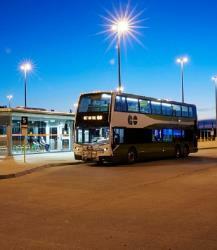 Orangeville to Burlington bus services, operated by GO Transit, depart from Town Line @ Mill St. station. Where does the Orangeville to Burlington bus arrive? 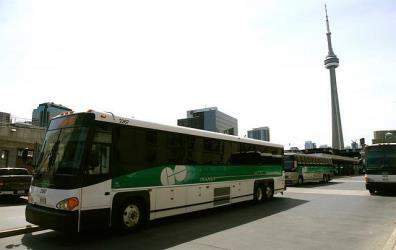 Orangeville to Burlington bus services, operated by GO Transit, arrive at Dundas St. @ Hwy. 407 Park & Ride station. Can I drive from Orangeville to Burlington? Yes, the driving distance between Orangeville to Burlington is 85 km. It takes approximately 1h 4m to drive from Orangeville to Burlington. There are 98+ hotels available in Burlington. Prices start at $84 CAD per night. What companies run services between Orangeville, ON, Canada and Burlington, ON, Canada? 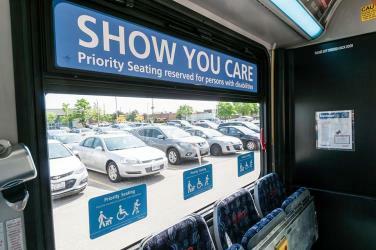 You can take a bus from Orangeville to Burlington via Brampton Bus Terminal, Nelson - Zum Main Station Stop SB, Mississauga City Centre Terminal - Arrival, and Square One in around 2h 25m. Rome2rio's Travel Guide series provide vital information for the global traveller. Read our range of informative guides on popular transport routes and companies - including What documents do I need to cross Niagara Falls?, How to travel India's Golden Triangle and Getting to Milan from the airport - to help you get the most out of your next trip. Royal Botanical Gardens (RBG) is headquartered in Burlington and also owns extensive natural areas and gardens lands in Hamilton, Ontario, Canada. It is one of the major tourist attractions between Niagara Falls and Toronto, as well as a significant local and regional horticultural, education, conservation, and scientific resource. On 31 July 2006, Royal Botanical Gardens was selected as the National Focal Point for the Global strategy for plant conservation (GSPC) by Environment Canada. Dundurn Castle is a historic neoclassical mansion on York Boulevard in Hamilton, Ontario, Canada. The 18000 sqft house took three years and $175,000 to build, and was completed in 1835. The forty room castle featured the latest conveniences of gas lighting and running water. It is currently owned by the City of Hamilton, which purchased it in 1900 for $50,000. The City has spent nearly $3 million renovating the site to make it open to the public. The rooms have been restored to the year 1855 when its owner Sir Allan Napier MacNab, 1st Baronet, was at the height of his career. Costumed interpreters guide visitors through the home, illustrating daily life from the 1850s. The Duchess of Cornwall, a descendant of Sir Allan MacNab, is the Royal Patron of Dundurn Castle. Rattlesnake Point is an eco-tourism area located in Milton, Ontario, Canada and is owned and operated by Conservation Halton. Spanning roughly one-hundred square kilometres across and near the Niagara Escarpment in Halton Region, the Rattlesnake Point area is home to many golf courses, country markets and equestrian training and boarding facilities. It is a popular scouting area. Rome2rio makes travelling from Orangeville to Burlington easy. Rome2rio is a door-to-door travel information and booking engine, helping you get to and from any location in the world. 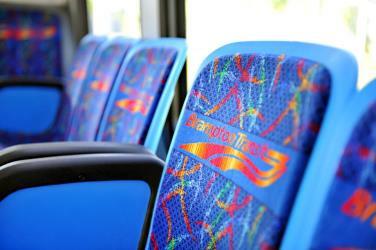 Find all the transport options for your trip from Orangeville to Burlington right here. Rome2rio displays up to date schedules, route maps, journey times and estimated fares from relevant transport operators, ensuring you can make an informed decision about which option will suit you best. Rome2rio also offers online bookings for selected operators, making reservations easy and straightforward.